Herod had gained and held his power by being willing to play the game and sell himself to Rome bit by bit. 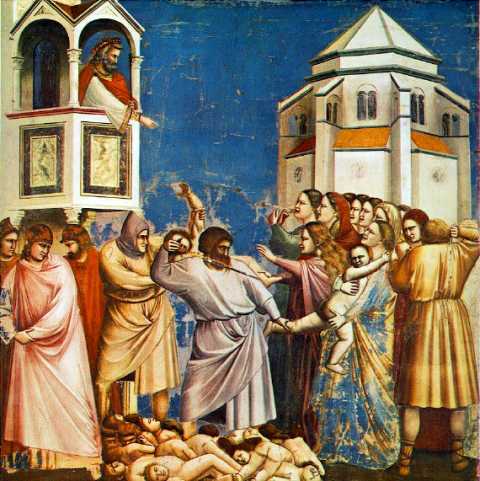 Herod’s father–Antipater–had been poisoned for offering financial support to the treasonous men who murdered Caesar. It is hard to imagine that the son of a collaborator could rise to power but somehow Herod knew the game well enough to manipulate the right people. He swore his allegiance to Rome while using the Roman army to kill his father’s supposed murderer. He would soon rise to power in Judea and be named tetrarch but he first had to consolidate his power by marrying his niece to cement his claim on the throne. This was an easy task for a powerful man like Herod but required that he banish and exile his current wife and three-year-old son. No cost was too high for Herod in his search for power. A little while later, after convincing the Roman leaders that his father’s treachery had been forced, he was threatened by another usurper who he cast as a traitor and enemy of Rome to his powerful Roman friends. With the backing of his Roman friends–bought with his pledge of allegiance to Rome first and foremost–Herod was further cemented as Governor of Judea and he took the title: king Herod the Great. All it cost was his integrity, his allegiance, and selling the Jewish leadership into Roman control. In those days a decree went out from Emperor Augustus that all the world should be registered.This was the first registration and was taken while Quirinius was governor of Syria. All went to their own towns to be registered. Joseph also went from the town of Nazareth in Galilee to Judea, to the city of David calledBethlehem,because he was descended from the house and family of David. He went to be registered with Mary, to whom he was engaged and who was expecting a child. While they were there, the time came for her to deliver her child.And she gave birth to her firstborn son and wrapped him in bands of cloth, and laid him in a manger, because there was no place for them in the inn. Sarah was the godmother of her own sister–Angelina, the youngest–and helped tutor and care for her as she grew older. 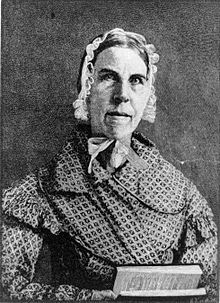 Sarah even came back for her many years later after she had already moved to Philadelphia and become active in the abolitionist community and church there. When Angelina was twenty-two (and Sarah was thirty-five), Sarah came back to Charleston to convert her sister to Christianity and bring her north. Angelina would convert but it would be two more years before she moved north to live with her sister. In Philadelphia, the sisters worked for the abolitionist and the feminist cause and Angelina eventually married. In Angelina’s home with her husband Theodore, there was a room for Sarah and the sisters worked together out of the home to edit newspapers and release articles and papers that denounced slavery and repression of women. Though they were rebuked by ministers and eventually given an ultimatum by the Quakers, they refused to accept that slavery was acceptable or women were to be subservient and second-class creatures. They stood upon the same foundation that their opponents stood upon: the Christian faith. By refusing to appeal to another foundation, they refused to concede the holy to those who would abuse it. The crumpling of a body is a unique and easily remembered sound. As the Brahmin holy man’s legs gave way he fell into a heap at the crowded–and stifling–bus terminal. The people scattered and some went for help. A man rushed back with a glass of cold water for the holy man knowing that he was likely suffering from some type of heat exhaustion. The life giving water was offered to the man but he pushed it away ferociously because it was not in his personal drinking vessel. The crowd understood that the man was trying to maintain his distinctness and so a boy ran to the home of the man and found his vessel. When he arrived, they filled it with cold water and the holy man drank quickly from his vessel and was strengthened and revived. 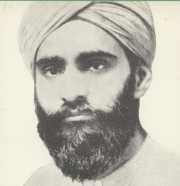 In these startling moments, Sundar became painfully aware of a lesson hidden behind the circumstances: the people of India were like the man who would accept water only in the way he was familiar with–they would only accept a story of faith in the guise of an Indian man and not with the appearance of Western thought or teaching. It made everything make more sense as to how effective his life had been and why God had called him to live such a peculiar life–perhaps even why God had called him from those train tracks so many years previous. Sundar was raised by a Sikh woman who wanted him to receive both an excellent education and excellent spiritual mentoring. So, she took him to the local Sadhu–an ascetic Indian holy man–to be mentored in the faith of his people and took him to a western school so he might learn English and other subjects. This school was a Christian mission and so he began to learn some of the faith as he advanced in his studies. But, then, tragedy struck when he was fourteen and his mother died unexpectedly. This shock led him to reject the faith of the Christians who spoke of a loving God who cared for the people of the world. He openly rejected their faith and mocked their converts. He brought his friends together so that they could watch him burn a bible page by page in defiance of the faith he so eagerly resisted in his rage. His rage did not ease his suffering and so he found himself laying on railroad tracks and screaming at the heavens: “If there is a God, then show yourself! If you’re real, come to me or I will lay here and let the next train run over me and end it all.” Sundar waited for quite a while and nothing happened and so he resolved to die when the train came shortly after dawn. As dawn was breaking, he had a vision where God spoke to him and called him to serve as a missionary to his own people. He ran home, he woke his father and shared the story of his own conversion. His father was outraged and demanded that he renounce the absurd moment and vision. When Sundar refused, his father schedule a great party–but this party was a farewell ceremony and after the meal, Sundar was expelled from his home and disowned by his widowed father. As he walked away from his only family, his stomach began to hurt and he realized that he had been poisoned by his own father. He struggled to keep going and was eventually crawling due to the pain. Yet, he was taken in by a local Christian family and nursed back to health. He was baptized in the community and became a servant of God in the leper community nearby. Eventually, he took upon himself the Indian garb of the Sadhu and began an itinerant ministry of mission work to the Indian people. In his yellow robe and turban, he began speaking to people who would otherwise ignore and reject the faith he offered. He spoke of Jesus–the man whom God had become in this world–and one important Gospel message that God loves us and desires to be with us. In other words, Sundar brought water to the people of India in a vessel they recognized and preferred. He would travel to Tibet–to minister to the Buddhists there–andthroughout India on foot because of the calling to share the faith with his people. He received some formal education but not much. He was occasionally sponsored by various ministries and ecclesial organizations but they never defined his identity. Instead, he kept pursuing the redemption of a people he cared for by offering the message that God’s love was furious and unrelenting and that there was hope for life in the words and stories of the Christian faith. In 1929, he endeavored to make one last journey to Tibet–the visits had started very painfully but had gotten better each time he visited–and so he set off through the mountains. He never arrived and his body was never found. It is possible that he was murdered by bandits or that he died of exhaustion but one thing is for certain: Sundar went places and talked to people that other Christians did not have access to. Sundar was called by God to reach those he loved even if they rejected and abandoned him. Diocletian was surprised again but this time he thought he had an idea what had happened. Some important families had been having family members become Christians at surprising times andall of the conversions seemed to be connecting around one central figure’s visit: Sebastian. Diocletian called Sebastian to him and gave him no opportunity to regain his status. Instead, he had him taken to a nearby field and tied to a stake. 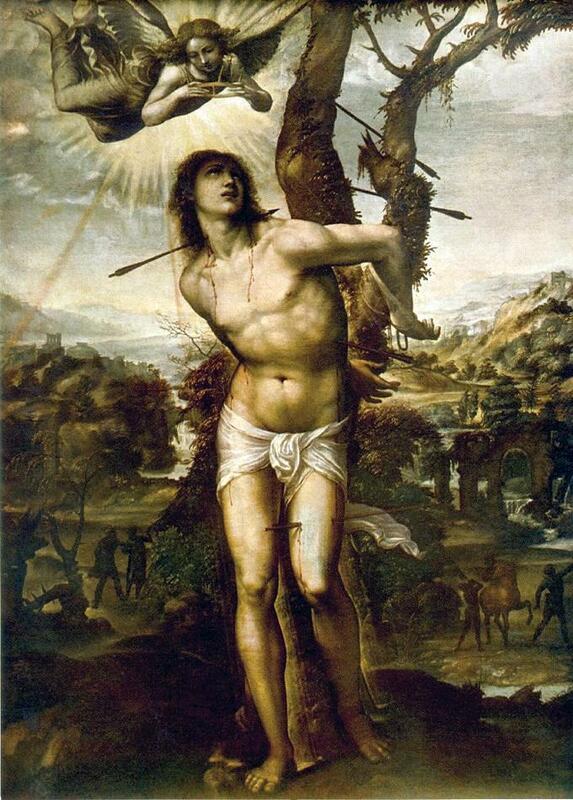 The Roman archers raised their brutal bows and rained death upon him.His flesh was pierced on account of his faith. He was left for dead as his blood was slowly consumed by the soil beneath his naked body. Yet, as the sun fell and the soldiers departed, Sebastian’s heart still beat and he was taken from the place by a Christian widow–Irene of Rome who had been married to Castulus. She took him to her home and nursed him back to health after cleaning his wounds and giving him her bed to sleep in. Amazingly, he recovered and worked a wonder in the house of Irene. A blind woman from the community was skeptical of his faith–perhaps because of his status as a Praetorian–and refused to accept that he was a Christian. He called her to himself and asked, “Do you desire to be with God?” She responded in the affirmative and he made the sign of the cross upon her forehead. Miraculously, she gained her sight the moment after his thumb left her brow.